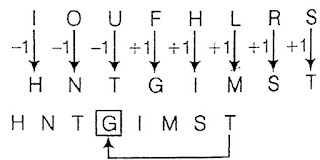 1).If each consonant in the word GLOMERATE is replaced by the previous alphabet and each vowel is replaced by the alphabet following it as in the English alphabet and then the order of the alphabets, thus formed is reversed, which of the following will be the seventh from the right? 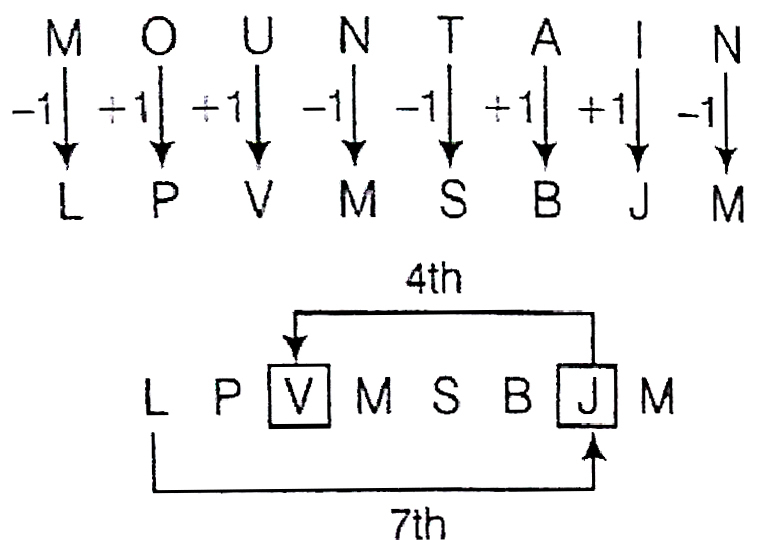 2).Each vowel in the word MOUNTAIN is replaced by the next letter in the English alphabet and each consonant is replaced by the previous letter in the English alphabet, which of the following will be the fourth letter to the left of seventh from the left end? 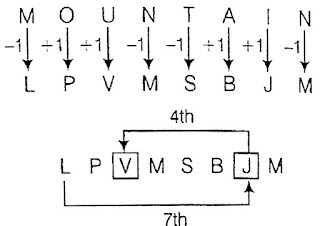 3).If in the word FLOURISH, all the vowels are first arranged alphabetically and then all the consonants are arranged alphabetically and the all the vowels are replaced by the previous letter and all the consonants are replace by the next letter from English alphabet, which letter will be fifth from the right end? 4).Each vowel in the word INFAMOUS is replaced by the next letter in the English alphabet and each consonant is changed to the previous letter in the English alphabet and then the letters so arrived are arranged in alphabetical order. Which of the following will be the fifth from the left end in the new arrangement? 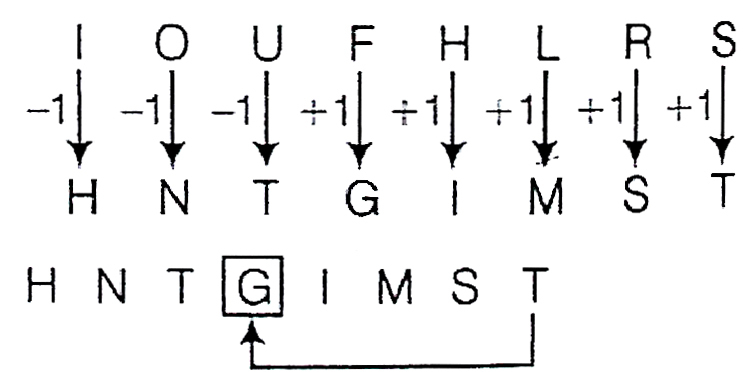 5).Each vowel in the word COMBINATION is replaced by the next letter in the English alphabet and each consonant is replaced by the previous letter in the English alphabet and then the letters are arranged in alphabetical order. 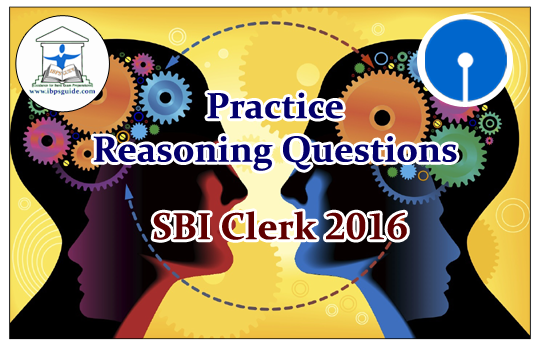 Which of the following will be the fifth letter to the right of tenth from the right end? 6).If the consonants in the word DROVE are first arranged alphabetically and the vowels are put in between two pairs of consonants in the alphabetical order, which of the following will be the third from the right end after the rearrangement? 7).If in the word CAVENDISH all the vowels are first arranged alphabetically and then all the consonants are arranged alphabetically, which letter will be third to the right of sixth from the right end? 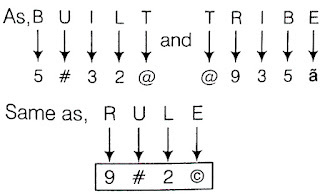 9).In a certain code BUILT is written as 5#32@ and TRIBE is written as @935©. 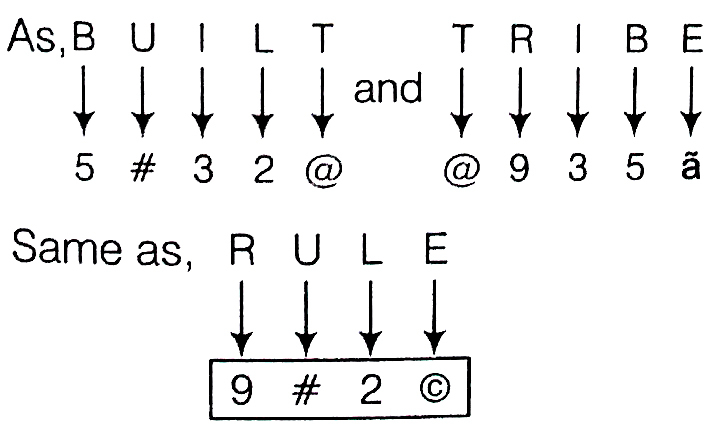 How is RULE written in that code? 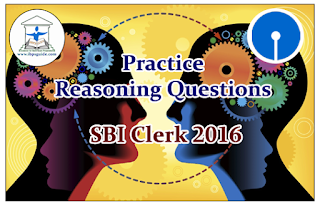 10).If 1 is coded as $, 5 is coded as %, 9 is coded as *, 3 is coded as +, 7 is coded as # and 4 is coded as ?. What will be the correct form of the number 435971? Hence, G is the fifth letter from the right end. 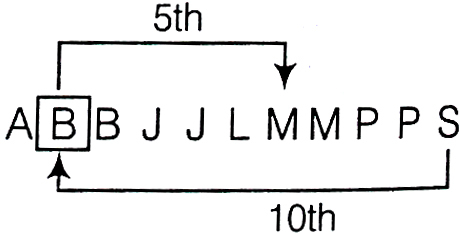 Hence, tenth letter from the right end is B and fifth letter to the right of B is M.
Hence, R is the third letter from the right end after the rearrangement. 10).Given 1 → $, 5 → %, 9 → *, 3 → +, 7 → #, 4 → ?